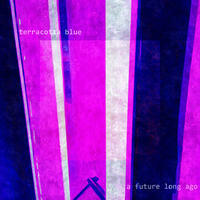 Terracotta Blue : A Future Long Ago. Hip-hop-infused, electronic chill music... with a dash of everything else!. A Future Long Ago is a collection tracks from my archives that are seemingly disparate in sound individually but yet cohesive when played as a whole. The songs on this project accurately reflect my eclectic tastes in music. You'll hear everything from hip-hop ("Early AM") to chillwave ("Dandylion") to downtempo ("Lightning") to 80s pop-rock ("87"). The result is a musical journey through the various electronic genres that continue to greatly shape my sound. License Hip-hop-infused, electronic chill music... with a dash of everything else! by Terracotta Blue for your project. Play the music of Terracotta Blue in your restaurant or store.